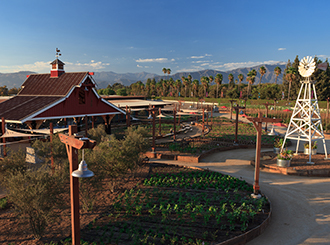 This unique dining experience invites you to indulge in an evening of delectable food and drink, prepared and served al fresco at The Farm at Fairplex. Each dinner includes vegetables, fruits and herbs gathered fresh from our crops for an authentic farm-to-table experience. Each dinner is paired with wine, spirits or craft beer. The Learning Centers provides a wide spectrum of innovative and enriching educational experiences that enrich our diverse communities.